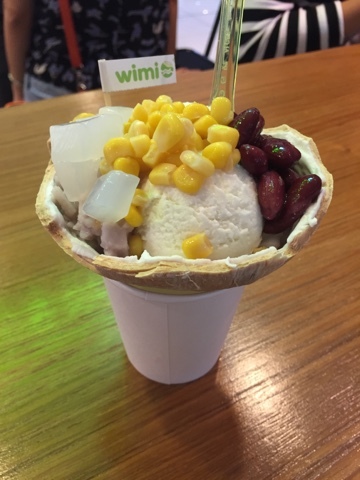 I wondered how I wondered why the coconut ice cream outlet is called WIMI. Just what does that stands for? Is it the bosses' names? I managed to get a chance to have a chat with the boss' sister on the name and it is just smart! W is Where I is Is M is My and I is Icecream. A cute and catchy name for the chain. Opening for the second outlet for relatives and friends is this weekend at their pre-opening launch and I went cocoNUTS. The first outlet was at clementi which I have yet to try and I know I have to give it a shot since it must have done well at its flagship outlet. First, choose your ice cream. They have coconut, coconut (strong), and milk tea. I've always loved my coconut in my desserts so I wanted to go for strong but was suggested to try both which I did. 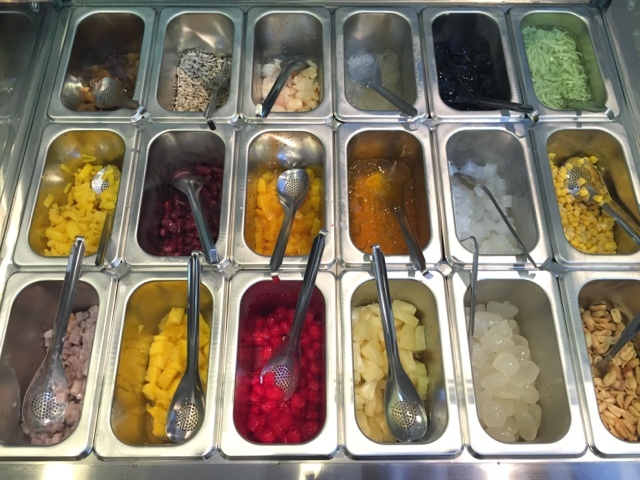 You can choose up to three toppings for to go into your ice cream. I love the fact that they've all the toppings one can possibly think of so you will never have a problem if you don't like some of them. 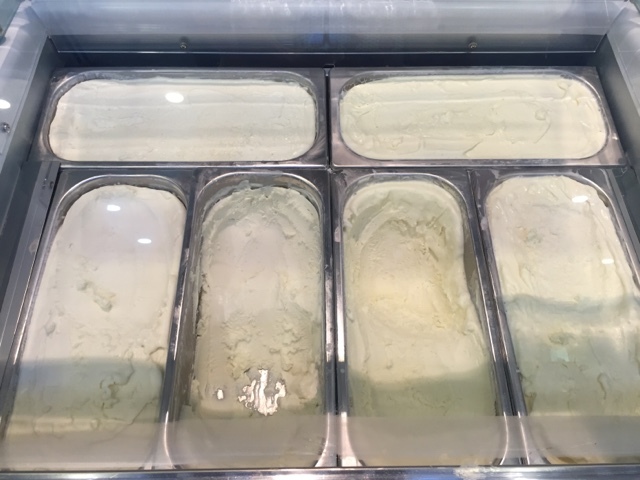 Picky eaters get to have their coconut ice cream too! Check out my colourful ice cream in the round coconut husk above. The cup of coconut drink is used to stabilize the dessert which is a great idea. No wastage of the coconut drink for sure! Tip: 1. Either you bring the husk onto the table and drink the coconut water before you start attacking your dessert 2. Down some water or wait for 15 minutes before drinking the water so that you get to taste the water at its optimum sweetness. Unless you like your coconut water less sweet, you may choose to rinse away the ice cream evidence in your mouth!